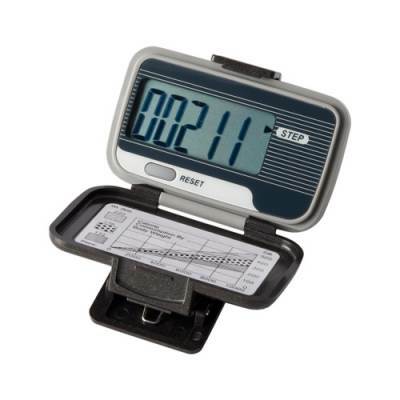 Encourage kids to get physically active with help from the EKHO One Pedometer. Instructors can monitor just how many steps each student walks per day, both in-school and at home, in order to coach children accordingly. With the large digital display and a spring-loaded alligator clip, kids can easily keep an eye on their progress throughout the day, so they know when they're on track and when they could be doing a little extra. Perfect for your 10,000 step per day program.